Woody: Hey, Buzz! You're flying! Buzz: This isn't flying, this is falling with style! Buzz: Years of Academy training wasted. Alien #2: From the outside. Buzz: [calmly] I-I-I... you're right. I'm sorry, I am just a little depressed, that's all. I can get through this. Buzz: Oh, I'm a sham! Buzz: [lands on the bed after his lucky acrobatic maneuver] Can! Rex: [the toys applaud and whistle] Whoooa! Oh wow, you flew magnificently! Bo Peep: I've found my moving buddy! Buzz: [proudly] Thank... th-thank you all, thank you! Woody: That wasn't flying! That was... falling with style! Mr. Potato Head: Hey, a laser! How come you don't have a laser, Woody? Woody: It's a little light bulb that blinks. Buzz: [in Sid's backpack, approaching his home] Sheriff, I can see your indwelling from here. You're almost home. Alien: Nirvana is coming, the mystic portal awaits. Woody: Will you be quiet? You guys don't get it, do you? Once we go into Sid's house, we won't be coming out! Alien: [after being selected by The Claw] I have been chosen! Farewell, my friends. I go on to a better place. Mr. Potato Head: That's Mister Potato Head to you, you back stabbing murderer! Woody: Hey! Who moved my doodle pad way over here? Rex: [jumps in front of Woody] ROAR! Woody: Hey, how ya doin', Rex. Rex: [stops roaring] Were you scared? Tell me honestly. Rex: I'm going for fearsome here, but I just don't feel it! I'm think I'm just coming off as annoying. Woody: Hey, who's got my hat? Mr. Shark: Look, I'm Woody! Howdy, howdy, howdy! All Aliens: [pointing up] The claw! Alien #1: The claw is our master. Alien #2: The claw chooses who will go and who will stay. Buzz: I am Buzz Lightyear; I come in peace. Rex: [shaking Buzz's hand] Oh, I'm so glad you're not a dinosaur! Woody: Nothing that concerns you space man, just us toys. Buzz: I'd better have a look anyway. Buzz: Why is that soldier strapped to an explosive device? Woody: [moves Lenny] That's why. Sid. Woody: [re-moving the binoculars] No, no, that's Scud, you idiot. That is Sid. Buzz: [Sid is laughing maniacally] You mean that happy child? Mr. Potato Head: That ain't no happy child! Rex: He tortures toys - just for fun! Buzz: Terrain seems a bit unstable. No readout yet if the air is breathable. And there seems to be no sign of intelligent life anywhere. Woody: [sneaks up on Buzz] Hello! Woody: Hey hey! Whoa, whoa, whoa, whoa, whoa! Did I frighten you? Didn't mean to. Sorry. Howdy. My name... is Woody... and this... is Andy's room. That's all I wanted to say. And also, there has been a bit of a mix-up. This is my spot, see... the bed here. Buzz: [sees Woody's "Sheriff" star badge] Local law enforcement! It's about time you got here. I'm Buzz Lightyear, Space Ranger, Universe Protection Unit. My ship has crash-landed here by mistake. Woody: Yes, it is a mistake, because, you see, the bed here is my spot. Buzz: I need to repair my turbo boosters. Are you still using fossil fuels, or have you discovered crystallic fusion? Woody: Well, let's see, we got double-A's. Slinky Dog: I knew you were right all along, Woody. Never doubted you for a second. Sid Phillips: Hannah! Hey, Hannah! Sid Phillips: Did I get my package in the mail? Hannah: [shrugs] I don't know. Sid Phillips: [demanding] What do you mean, you don't know? Woody: AAAAAH! This is the part where we blow up! Rex: I thought he was at summer camp! Hamm: They must've kicked him out early this year. Announcer on Intercom at Pizza Planet: [At Pizza Planet] Before your space journey, re-energize yourself with a slice of pepperoni, now boarding at counter three. Rex: Mr. Lightyear, now I'm curious... what does a space ranger actually do? Woody: He's not a space ran-ger! He doesn't fight evil or, or... shoot lasers or fly. Hamm: Wow. Impressive wingspan. Very good. Woody: Oh, what? What? These are plastic. He can't fly. Buzz: They are a terillium-carbonic alloy, and I can fly. Buzz: [scoffs] Yes, I can. Buzz: I tell you, I could fly around this room with my eyes closed! Woody: Okay, Mr. Lightbeer, prove it. Buzz: All right then, I will. Woody: You actually think you're the Buzz Lightyear? Hey, look, everybody! It's the real Buzz Lightyear! Buzz: How dare you open a space man's helmet on an uncharted planet? My eyeballs could have been sucked from their sockets! Woody: Buzz? Buzz Lightyear? You're not worried, are you? Buzz: Me? No, no, no, no, no, no, no. Are you? Woody: Now Buzz, what could Andy possibly get that is worse than you? Andy: [from downstairs] Oh, oh, what is it? What is it? Wow, a puppy! Andy: Can I help you fill up? Andy's Mom: Sure, I'll even let you drive. Andy's Mom: Yeah, when you're 16. Andy: Yup, yup. Very funny, Mom. Woody: Buzz! Go away, you disgusting freaks! Woody: All back! Back, you cannibals! Woody: He's still alive and you're not getting him, you monsters. Woody: Hey, they fixed you? But... but they're cannibals, we saw them eat other toys. Uh, sorry. We thought you're gonna... you know... eat my friend. Woody: No, no, no, no, wait. What's wrong? Sid Phillips: Not right now, Mom. I'm busy! Woody: Sid! Buzz, get up! Use our legs! Fine, let Sid trash but don't blame me! Bo Peep: What would you say if I get someone else to watch the sheep for me tonight? Woody: [blushing and giggling] Oh-ho yeah. Thought so. Sid Phillips: [torturing Woody with a magnifying glass] Where are your rebel friends now? Sid's Mom: [offscreen, downstairs] Sid! Your Pop-Tarts are ready! Sid Phillips: [running off] All right! Woody: [mocking Buzz as they split-up] "Rendezvous with Star Command." Woody: Andy! Oh, no! I can't show my face in that room without Buzz. Woody: Buzz! Buzz, come back! Buzz: [walking out from under the truck, annoyed] Go away! Woody: [calling] I found a spaceship! Woody: [calling] It's a spaceship, Buzz! Buzz: [as the driver asks for directions] Now, you're sure this space freighter will return to its point of origin once it jettisons its food supply? Woody: [nodding his head] Uh-huh. And when we get there, we'll find a way to transport you home. Buzz: Well, then, let's climb aboard. Woody: No, no, no, wait, Buzz! Buzz! Let's get in the back. No one will see us there. Buzz: Negative. There are no restraining harnesses in the cargo area. We'll be much safer in the cockpit. Woody: [whispering] Yeah, bu... Buzz! Buzz! Buzz! Woody: It's safer safer in the cockpit than the cargo bay. What an idiot. Mr. Potato Head: [while playing Battleship] Ah, ha. B-3. Mr. Potato Head: Aw, you sunk it! Mr. Potato Head: Are you peeking? Hamm: Hey, quit your whining and pay up. Hamm: No, no, not the ear. Gimme the nose. Mr. Potato Head: [pulls off his nose] How 'bout 3 out of 5? Hannah: [after Buzz falls to the floor while trying to fly out the window; his arm has fallen as a result] Mom! Mom, have you seen my Sally doll? Sid's Mom: [as Hannah picks up Buzz and his arm] What, dear? What was that? Lenny the Binoculars: [Lenny spots RC Car rocketing toward the open moving van] Hey, look! It's Woody and Buzz, comin' up fast! Woody: [asking a Magic 8 ball] Will Andy pick me? Woody: 'Don't count on it'? Aw! Argh! Minesweeper soldier: [after Andy's mom has stepped on one of the soldiers, they get up and make their way to a plant, but the stepped-on one struggles and is crippled] Just... just go on without me! Sergeant: [goes over to him and helps him up] A good soldier never leaves a man behind! Hamm: Oh, for crying out loud, they're all in boxes, you idiot. Slinky Dog: Wait, there's a nice little one over there. Rex, Hamm, Slinky Dog: AH! Slinky Dog: [with a checker board] Right here, Woody. I'm red this time. Slinky Dog: All right, you can be red if you want. Woody: Not now, Slink. I've got some bad news. Slinky Dog: [shouts] Bad news? Woody: Gather everyone for a staff meeting and be happy. Slinky Dog: Got it. Lenny the Binoculars: [Sid lights the rocket on Combat Carl] He's lighting it! He's lighting it! Lenny the Binoculars: [toys start to duck] Hit the dirt! Woody: Uh, Buzz, we missed the truck! Buzz: We're not aiming for the truck! Buzz: [about Sid] I don't believe that man's ever been to medical school! Slinky Dog: [while the toys try to extend a chain of toy monkeys to Buzz, who's fallen in the bushes, but catches up to Andy, his mom, and Woody, who are driving to Pizza Planet] It's too short. We need more monkeys! Rex: There aren't any more! That's the whole barrel! Rex: Buzz, the monkeys aren't working! We're formulating another plan, so stay calm! Rex: Where could he be? Woody: Has everybody picked a moving buddy? Hamm: Moving buddy? You can't be serious! Rex: I didn't know we were supposed to have one already! Mr. Potato Head: [holding his left arm in his right hand] Do we have to hold hands? Rex: It's a what? What is it? Mr. Potato Head: Oh, ya big lizard! Now we'll never know what it is! Hamm: Way to go, Rex! 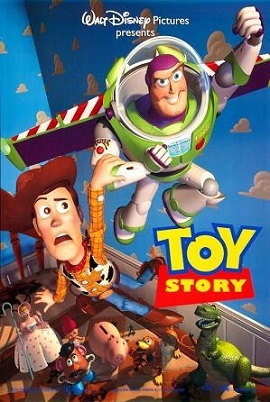 Woody: [as the toys struggle to put the batteries back in the TalkBoy] No, no, turn 'em around! Turn 'em around! Hamm: He's putting them in backward! Hamm: Hey, you're putting 'em in backwards! Woody: PLUS IS POSITIVE! MINUS IS NEGATIVE! Oh, let me! Sergeant: [downstairs, into the Baby Monitor] Red alert! Red alert! Andy is coming upstairs! Sergeant: ...juvenile intrusion, repeat! Assume your positions now! Woody: ANDY'S COMING! Everybody back to your places! Hurry! Mr. Potato Head: [in a panic] Where's my ear? Who's seen my ear? Did you see my ear? Woody: [while everyone else is scared by the long, thin present one of Andy's guests is bringing] All right, all right! If I send out the troops, will you all come down? Rex: [yells] Yes, yes, we promise! Woody: O-KAY! Save your batteries. Mr. Potato Head: Mrs. Potato Head, Mrs. Potato Head, Mrs. Potato Head... hey, I can dream, can't I? Woody: Oh, great. If anyone attacks we can blink em' to death. Mr. Potato Head: Hey, Hamm. Look, I'm Picasso! Mr. Potato Head: You uncultured swine! What're you lookin' at, ya hockey puck? Woody: Wait a minute, I just lit a rocket... Rockets explode! Hamm: Yes, sir, we're next month's garage sale fodder for sure. Woody: Tuesday night's plastic corrosion awareness meeting, was I think, a big success. We'd like to thank Mr. Spell for putting that on for us. Thank you Mr. Spell. Mr. Spell: [mechanically] You're. Welcome. Buzz: One minute you're defending the whole galaxy, and, suddenly, you find yourself sucking down darjeeling with Marie Antoinette... and her little sister. Sergeant: [about the second present Andy opens ] It's... it's bedsheets! Mr. Potato Head: Who invited that kid? Woody: [through his voice box] Reach for the sky! Woody: This town ain't big enough for the two of us! Woody: Somebody's poisoned the waterhole! Woody: Who are you calling busted, Buster? Woody: That's right! I'm talking to you, Sid Philips! We don't like being blown up, Sid. Or smashed, or torn apart. Woody: That's right, your toys! Woody: From now on, you must take good care of your toys, because if you don't, we'll find out, Sid! Woody: [while turning head around slowly] We toys can see EVERYTHING! Woody: [speaking and moving] So play nice! Woody: Buzz, will you get up here and gimme a hand? Woody: Ha-ha, ha-ha. That's real funny. This is serious! Woody: [whispers] SHUT UP! Just shut up, you idiot! Buzz: Sheriff, this is no time to panic. Woody: This is a perfect time to panic! I'm lost, Andy is gone, they're gonna move to their new house in two days, and it's all your fault! Buzz: Don't talk to me about importance! Because of you, the future of this entire universe is in jeopardy! Woody: What? What are you talkin' about? Buzz: Right now, poised at the edge of the galaxy, Emperor Zurg has been secretly building a weapon with the destructive capacity to annihilate an entire planet! I alone have information that reveals this weapon's only weakness. And you, my friend, are responsible for delaying my rendezvous with Star Command! Woody: [pauses] YOU ARE A TOY! You aren't the real Buzz Lightyear! You're - you're an action figure! Woody: You are a child's play thing! Woody: Rendezvous with Star Command. Andy: Oh no! Not my sheep! Somebody do something! Woody: [voice box] Reach for the sky! Andy: [as Mr. Potato Head] Oh no! Sheriff Woody! Andy: I'm here to stop you, One-eyed Bart! Andy: D'oh! How'd you know it was me? Andy: Are you gonna come quietly? Andy: with a built-in force field! Andy: Well, I brought my dinosaur! Andy: Who eats force field dogs! Andy: Arr rawr rawr! Yipe, yipe-yipe-yipe! Andy: You're going to jail, Bart. Say goodbye to the wife and tater tots. Andy: You saved the day again, Woody! Woody: [voice box] You're my favorite deputy! Woody: Oh. Well, that's good. Buzz: But we're not on my planet, are we? Woody: Okay, come on. You want a piece of me? Woody: Listen, lightsnack, you stay away from Andy. He's mine, and no one is taking him away from me. Buzz: What are you talking about? Where's that bonding strip? Woody: [pulls him back out] And another thing, stop with this spaceman thing! It's getting on my nerves. Buzz: Are you saying you want to lodge a complaint with Star Command? Woody: Oh-ho! O-okay, ooh, well, so you wanna do it the hard way, huh? Buzz: [gets out from under his ship] Don't even think about it, cowboy. Woody: Oh yeah, tough guy? Woody: Pull my string! The birthday party's today? Okay everybody, the coast is clear! Mr. Potato Head: Ages three and up! It's on my box! Ages three and up! I'm not supposed to be babysitting Princess Drool! Woody: All right, that's enough! Look, we're all very impressed with Andy's new toy. Woody: The word I'm searching for I can't say because there's preschool toys present. Woody: D'oh! Got me again! Etch, you've been working on that draw. Fastest knobs in the west. Sid Phillips: No-one has ever attempted a double bypass brain transplant before. Woody: [trying to get Buzz into Molly's stroller] It's a special spaceship, I just saw it. Buzz: You mean it has hyperdrive? Woody: Hyperactive hyperdrive, and astro... uh... turf. Sergeant: Molly's first present is... Mrs. Potato Head! Repeat, a Mrs. Potato Head! Hamm: Way to go, Ida-ho! Mr. Potato Head: Gee, I'd better shave! Woody: I think you've had enough tea for today, let's get you outta here, Buzz. Woody: Buzz, you've got wings! You glow in the dark! You talk! Your helmet does that, that... whoosh thing! You are a cool toy! Woody: As a matter of fact, you're too cool. Woody: Sergeant, establish a recon post downstairs. Code Red. You know what to do. Sergeant: All right, men, you heard him! Code Red, repeat: we're at Code Red! Recon plan Charlie: Execute! Let's move, move, move, move, move! Mr. Potato Head: Son of a building block! It's Woody! Woody: Now, guys, it was an accident. C'mon, you-you've gotta believe me. Slinky Dog: We believe you, Woody. Right, Rex? Rex: Well, I mean, uh, I don't like confrontations!